Been following your build and have been very impressed. 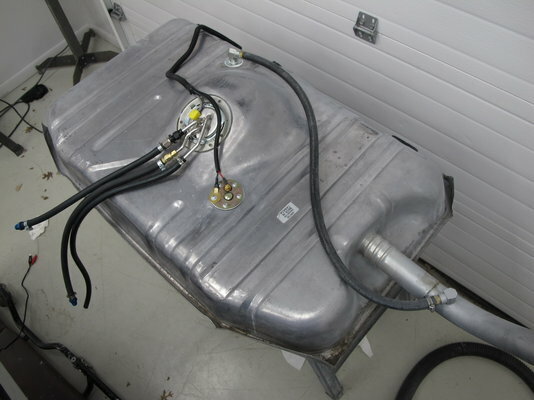 I thought you might be interested in what I've done for my gas tank setup. I've got the Spectra tank with that comes with a fuel tray. The only bad thing about this tank is that it doesn't vent properly when filling up. I solved that problem with some modifications and the addition of a vent line from the top of the tank to the neck. I bought a reproduction sending unit for the 4.3L FI application. 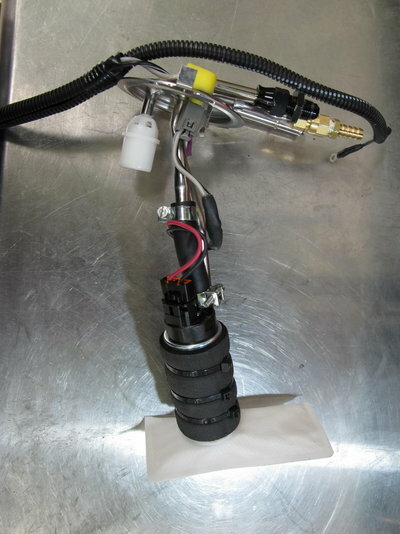 I then modified it by cutting off the sending unit so it is just used to suspend a pump and installed a Walbro on to it. So for a sending unit, I bought a Autometer universal one and cut a new hole for in the top of the tank. This is possibly the way you could as I think you could go and it might be easier than what you were thinking. I saw a thread or two i think using the setup you show there. Pretty slick. I don't remember why I decided to go another route but its basically the same result. (Maybe I didn't want to buy a new tank.) Why isn't the normal vent tube enough and why do you run the vent line you added to the filler neck instead of just out to the air? I used a tanks inc module with a single pump that can exceed my HP goal. Removed the retainer ring section on the tank and cut the hole larger. I had to modify the support a bit to correct for the angle, no biggy there. Then added a sending unit to get that function back. Why isn't the normal vent tube enough and why do you run the vent line you added to the filler neck instead of just out to the air? 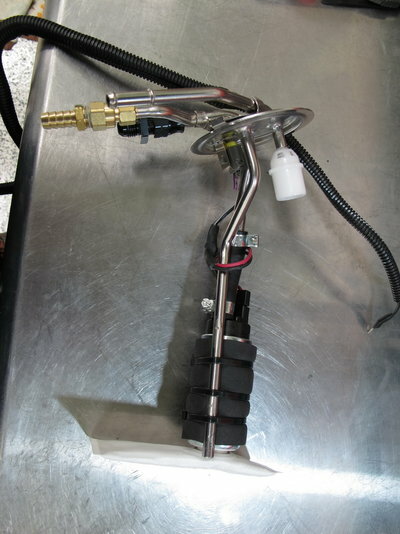 It's better to run it to the top of filler neck so the fumes stay in the tank, plus any sloshing around will keep it in the neck. It's one thing I regret not doing, although I may get the chance if I have to replace my fuel line. You are right, same result and I like what you did and your ingenuity. The vent line I added is only needed when filling the tank. For normal venting, I'm still using the 5/16" line running up front to the charcoal canister. The canister's purge line is run into my cold air intake filter box into the outer side of the filter. There appears to be enough suction there to purge the canister. You don't need the tank filling vent line. Your stock tank does this correctly with a channel that runs on the top inside of the neck all the way down into the tank. The Spectra replacement tank has the channel too but it doesn't work and makes it a PIA to fill the tank. So to fix, I cut the neck off. I then closed the channel off at the end and added the fitting above that point and then welded the neck back on. The tank fills normally now. Btw, I first bought that same fuel sender that you have. I had trouble with it not floating with that small nylon float. 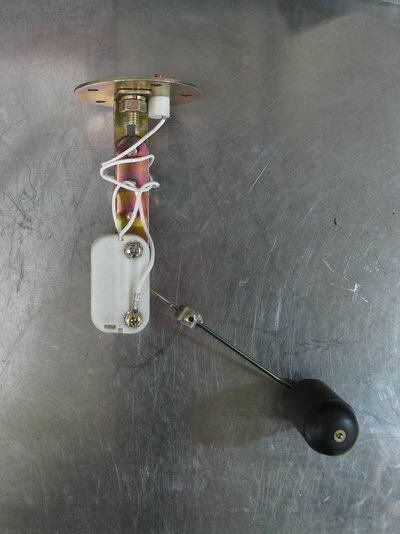 I trashed it and bought the Autometer sender that uses a foam type of float. And one more thing on the subject of fuel. 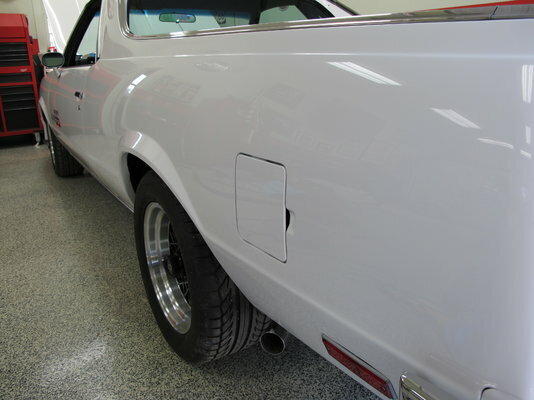 Did you happen to see how I modified the fuel fill door on my Elco? Cool - thanks for the info on the fill vent and I like what you did with the gas door. Thats how GM shoulda done it. Interesting we are doing these tank mods at the same time. I reinstalled my tank today and put about 6 1/2 gallons in that I had in cans. I then drove the car to a gas station and it took 18 gallons until the nozzle clicked off. So my 22 gallon tank actually holds about 24 1/2. And there's still air space in the dome portion to account for expansion. I'm not sure if I'm satisfied with my Autometer sending unit yet. The float has just barely enough buoyancy and it took some jostling of the car before it would raise to the top. It should work OK on the way down I'm guessing. The reason these type of senders have an issue is because the float arms have to be cut so short for the shallow tank depth of a stock tank. I suggest you test your sender before re-installing your tank. I can't imagine you not seeing the problem that I am. Will do. 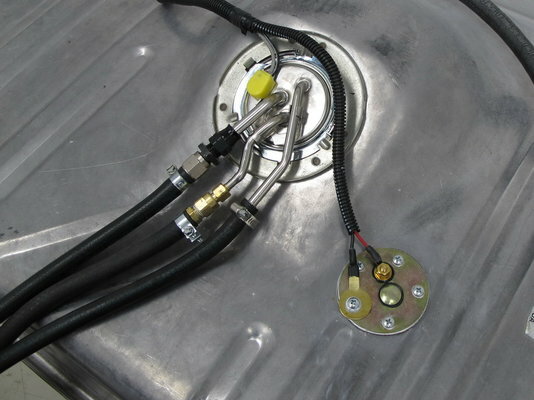 I've used similar senders in 3 other tanks with no issues and all were pretty short in that 7-9 inch depth range. Prepped and painted the gas tank. Finally unboxed my Performabuilt 4l60e. Looking forward getting the engine back soon. Get the frame back under and and start looking like a car again ; ). 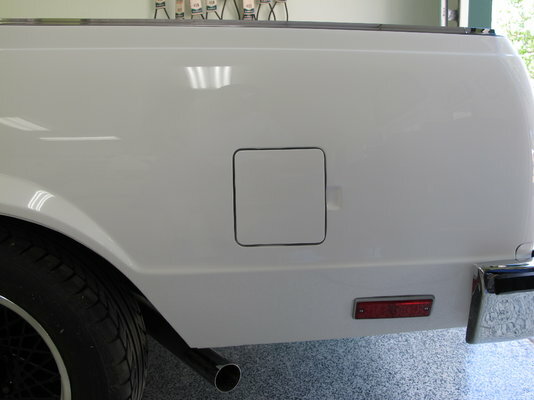 The fuel door is one of the mods I want to do on my wagon. The top-hinged fuel door is a stupid design. Did you put an extension tube on the fitting for the vent line? If not, I'd suggest putting about a 2-3" extension on it. 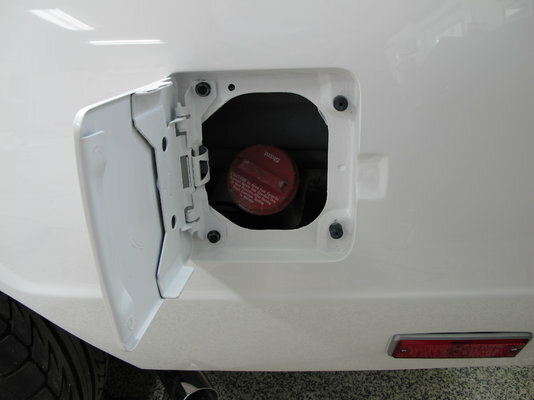 You do not want to let that domed area fill up with gas when you fill the tank. That's needed for expansion. Did you get a chance to make sure your sender float works OK?